Despite an overall global reduction in serious piracy attacks this year, the International Maritime Bureau’s Piracy Reporting Centre (IMB PRC) cautions against complacency in its 2015 report for the year to 30 September. In Southeast Asia, a piracy crackdown appears to be bearing fruit, with only two hijackings reported in the third quarter of the year. Indonesian and Malaysian authorities have also arrested and in some cases prosecuted, members of product tanker hijacking gangs, notably those behind the MT Sun Birdie and MT Orkim Harmony attacks. “The robust actions taken particularly by the Indonesian and Malaysian authorities – including the arrest of one the alleged masterminds – is precisely the type of deterrent required” commented P Mukundan, IMB Director. The two hijackings, on a small product tanker in the Straits of Malacca and a fishing vessel 40-miles west of Pulau Langkawi, were among 47 incidents the IMB PRC recorded globally between July and September. To date 190 incidents of piracy and armed robbery against ships have been officially counted this year, the greatest number in Indonesia, which tallied 86 mainly low-level incidents, followed by Vietnam with 19 low-level reports. 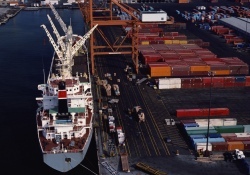 While only one new incident of an actual attack was reported for the last quarter in the Gulf of Guinea, IMB believes the real number to be considerably higher. No incidents have been noted off Somalia or in the Gulf of Aden this year, previously a piracy hotspot. IMB says the positive development reflects the combined efforts of navies in the region, along with greater compliance with the Best Management Practices guidelines against Somali piracy, the employment of private security contractors and a stabilizing government. Suspected Somali pirates continue to hold 29 crew members for ransom. The report urges vessels to maintain vigilance, noting the “increasingly fragile” situation ashore Somalia, with the threat of piracy not “eliminated”. 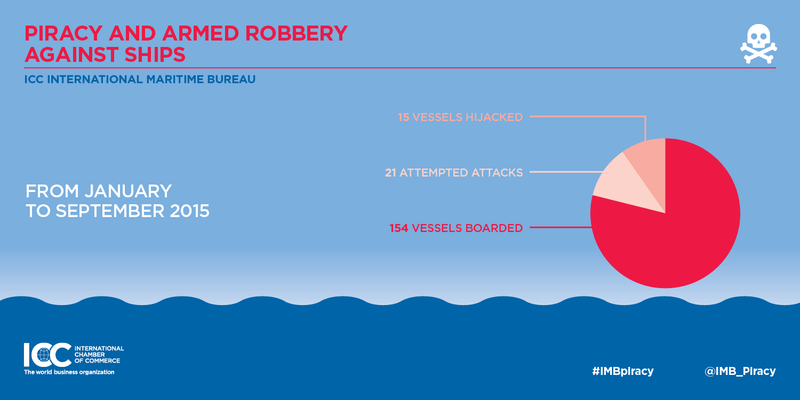 In all, this year has seen 154 vessels boarded, 21 attempted attacks and 15 vessels hijacked. A total of 226 crew were taken hostage, 14 assaulted, 13 injured, 10 kidnapped and one killed. Further infographics can be found here on total incidents and boarding statistics. The IMB Piracy Reporting Centre is the world’s only independent office to receive reports of pirate attacks 24-hours-a-day from across the globe. 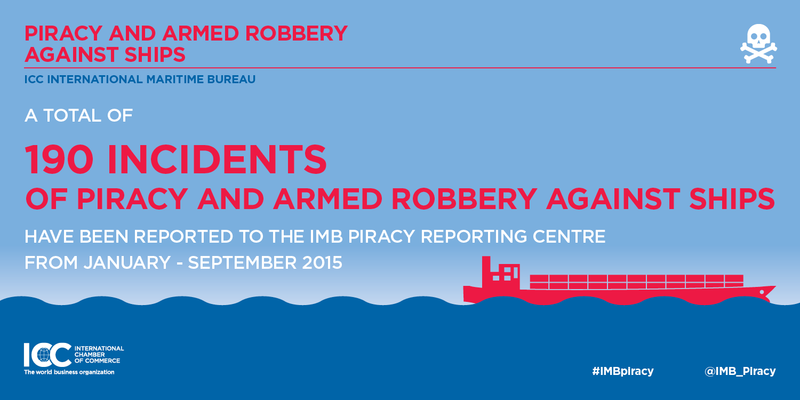 IMB strongly urges all shipmasters and owners to report all actual, attempted and suspected piracy and armed robbery incidents to the IMB Piracy Reporting Centre. This first step in the response chain is vital to ensuring that adequate resources are allocated by authorities to tackle piracy. Transparent statistics from an independent, non-political, international organization can act as a catalyst to achieve this goal. ICC is the world business organization, whose fundamental mission is to promote open trade and investment and help business meet the challenges and opportunities of an increasingly integrated world economy. 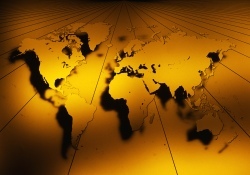 With interests spanning every sector of private enterprise, ICC’s global network comprises over 6 million companies, chambers of commerce and business associations in more than 130 countries. ICC members work through national committees in their countries to address business concerns and convey ICC views to their respective governments. ICC conveys international business views and priorities through active engagement with the United Nations, the World Trade Organization, the G20 and other intergovernmental forums. Close to 3,000 experts drawn from ICC member companies feed their knowledge and experience into crafting the ICC stance on specific business issues.